FROSH/SOPH PARENT NIGHT MISSION VIEJO HIGH SCHOOL. 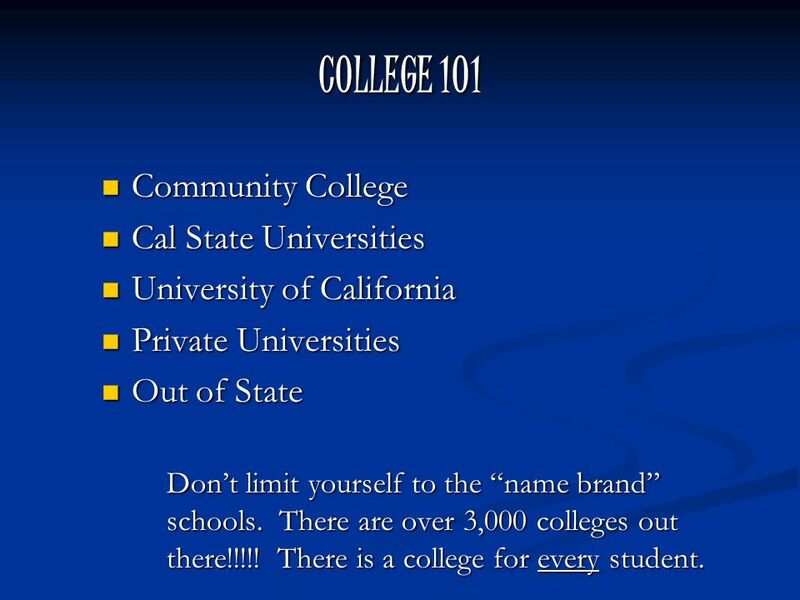 6 COLLEGE 101 Community College Community College Cal State Universities Cal State Universities University of California University of California Private Universities Private Universities Out of State Out of State Don’t limit yourself to the “name brand” schools. 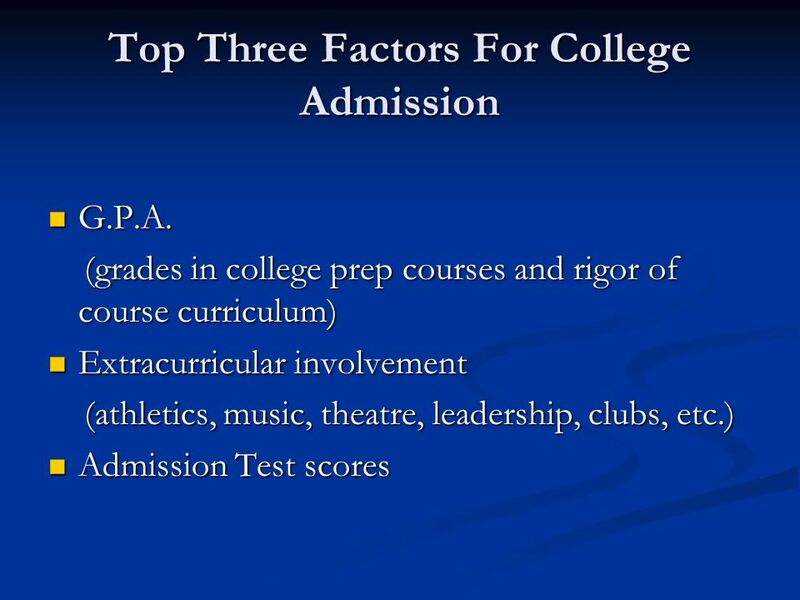 There are over 3,000 colleges out there!!!!! 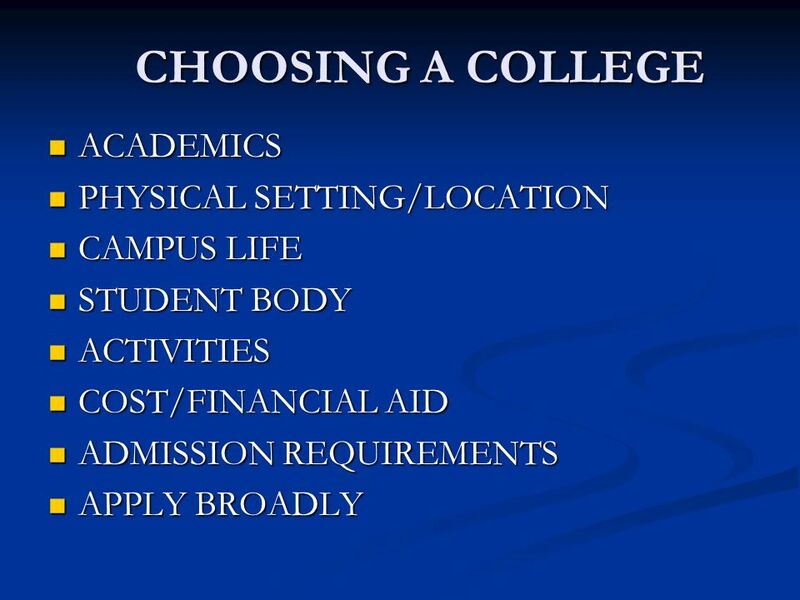 There is a college for every student. 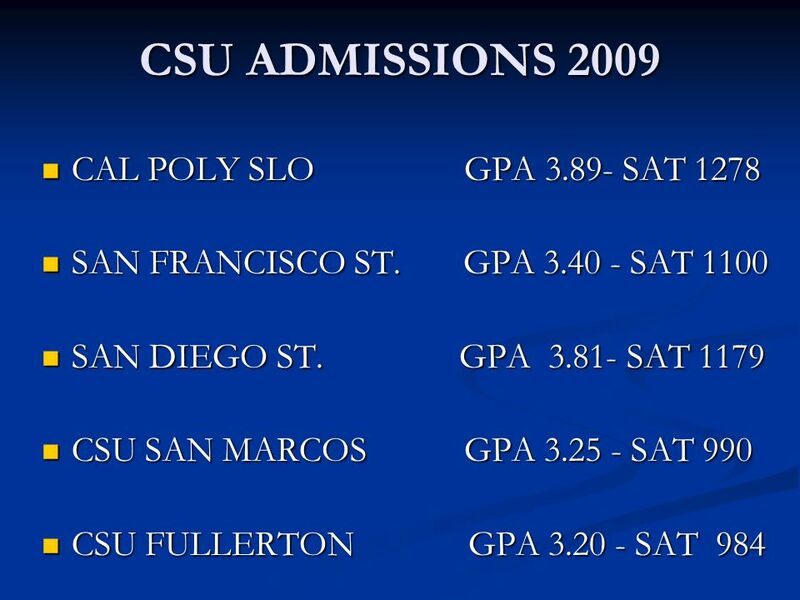 7 COMMUNITY COLLEGE Not everyone will attend a 4 year college. 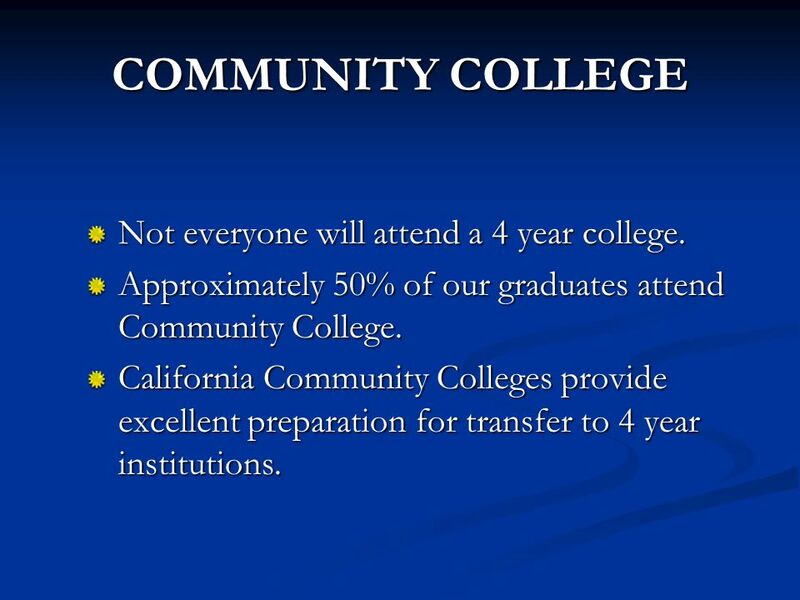 Approximately 50% of our graduates attend Community College. 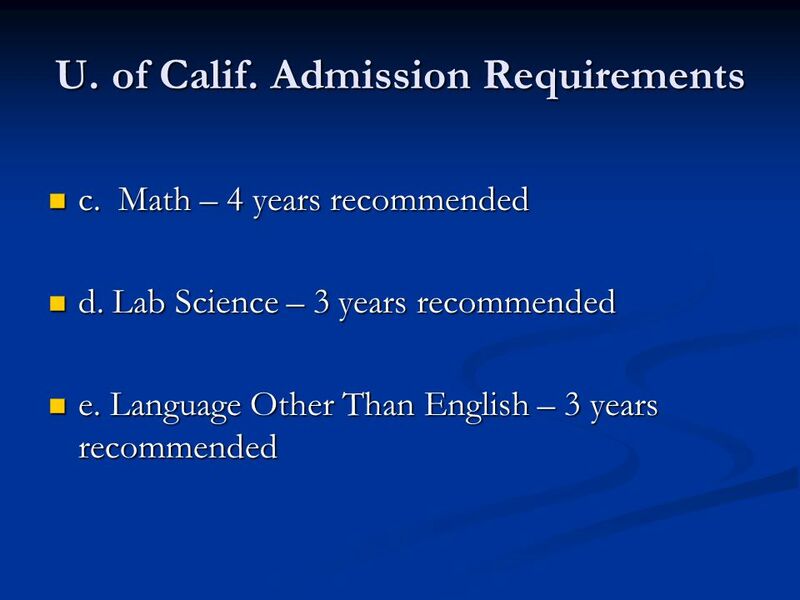 California Community Colleges provide excellent preparation for transfer to 4 year institutions. 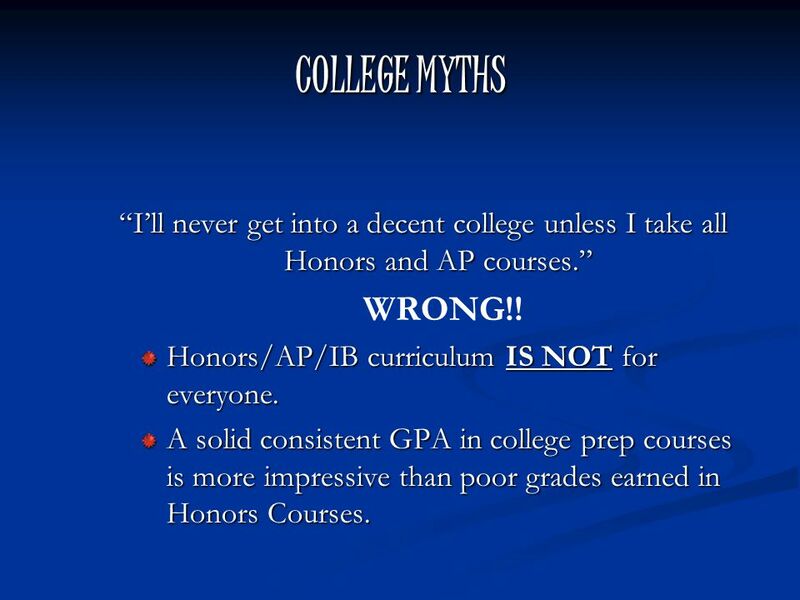 9 COLLEGE MYTHS “I’ll never get into a decent college unless I take all Honors and AP courses.” WRONG!! 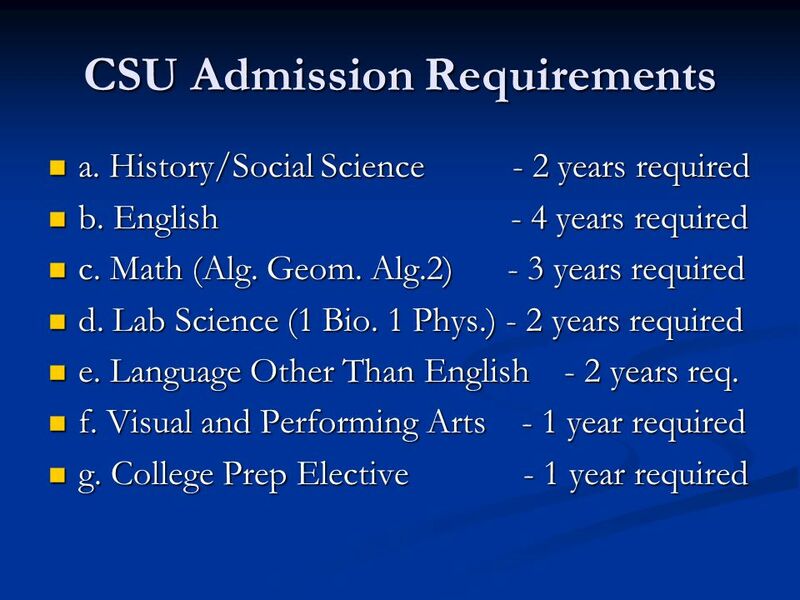 Honors/AP/IB curriculum IS NOT for everyone. 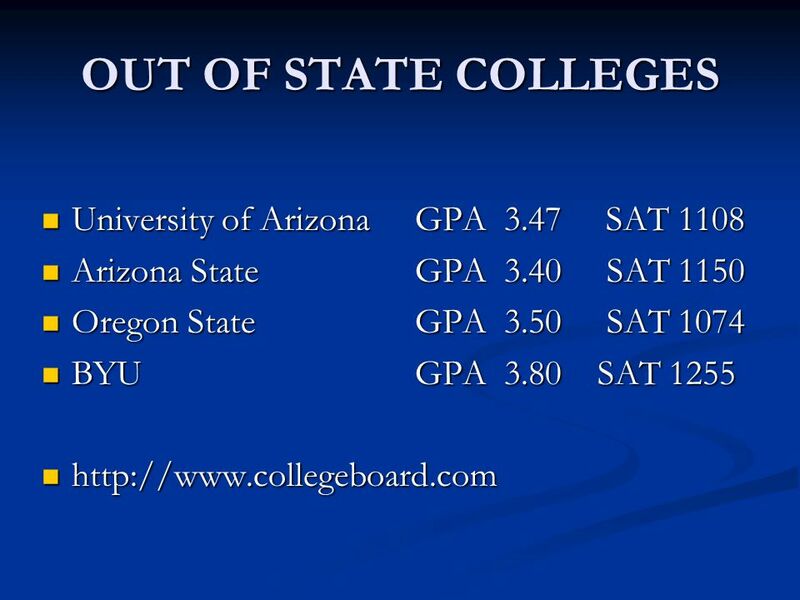 A solid consistent GPA in college prep courses is more impressive than poor grades earned in Honors Courses. 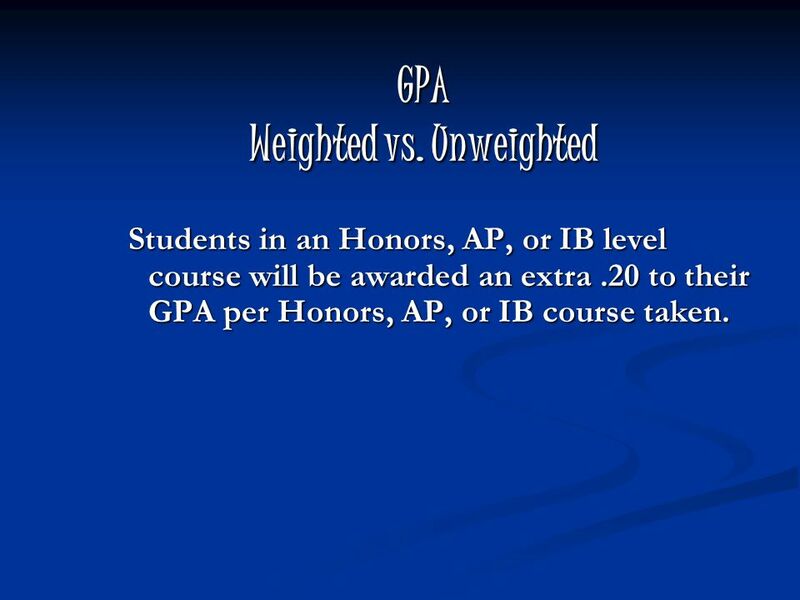 10 GPA Weighted vs. Unweighted Students in an Honors, AP, or IB level course will be awarded an extra.20 to their GPA per Honors, AP, or IB course taken. 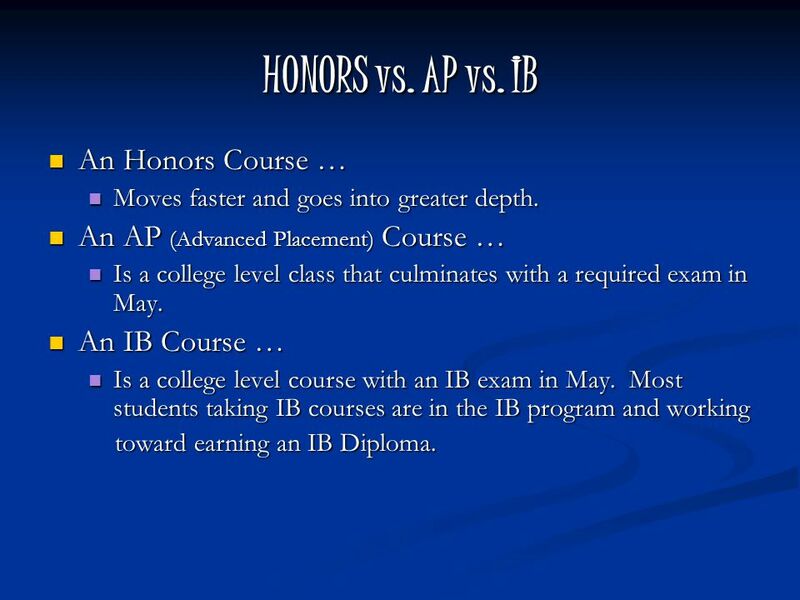 11 HONORS vs. AP vs. IB An Honors Course … An Honors Course … Moves faster and goes into greater depth. Moves faster and goes into greater depth. 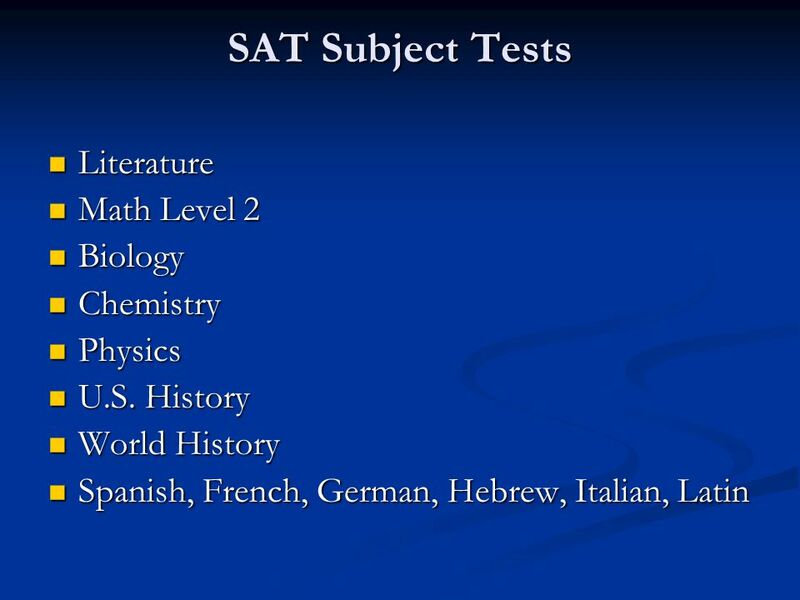 An AP (Advanced Placement) Course … An AP (Advanced Placement) Course … Is a college level class that culminates with a required exam in May. 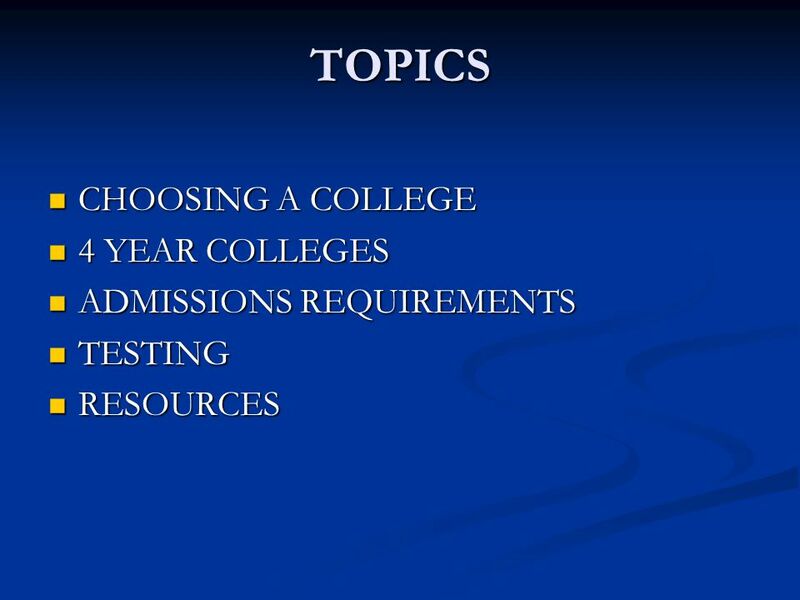 Is a college level class that culminates with a required exam in May. 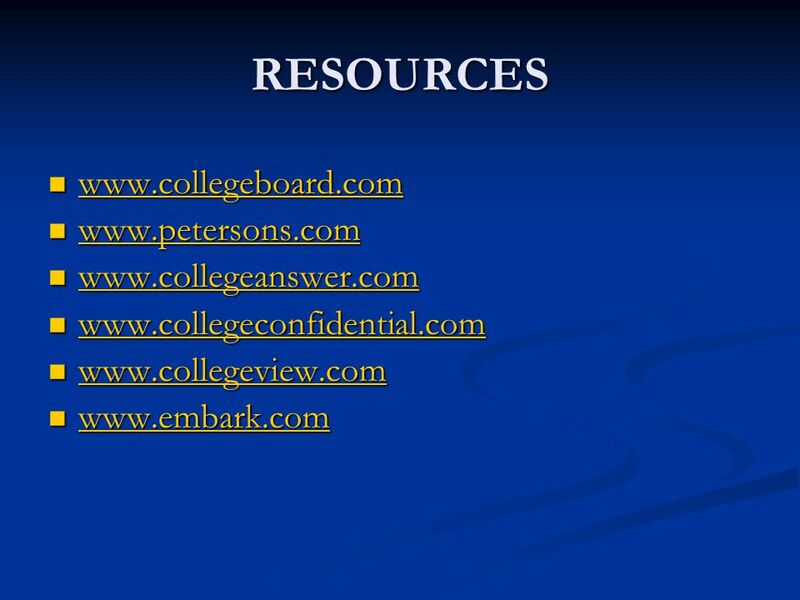 An IB Course … An IB Course … Is a college level course with an IB exam in May. 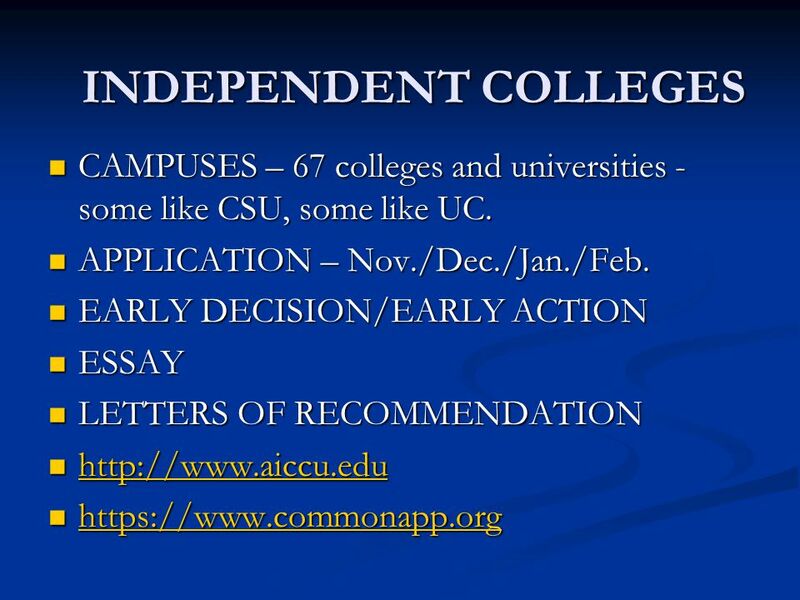 Most students taking IB courses are in the IB program and working Is a college level course with an IB exam in May. 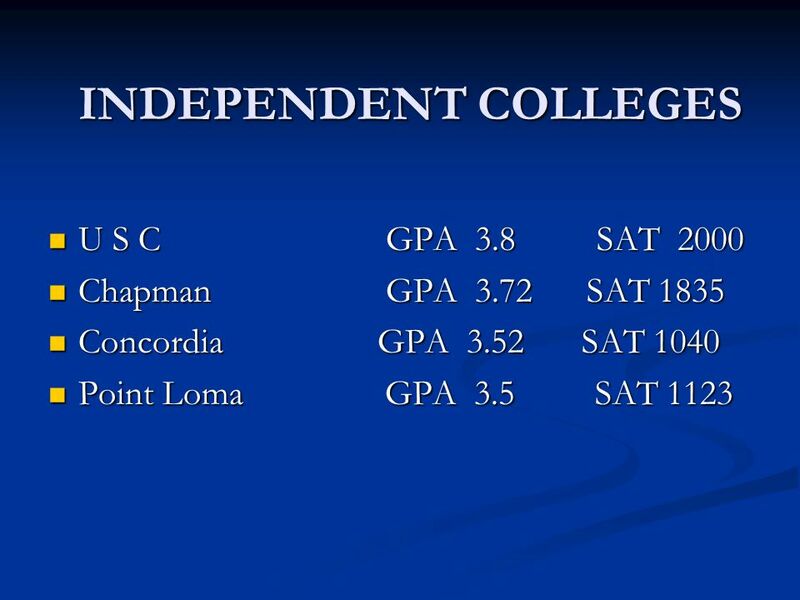 Most students taking IB courses are in the IB program and working toward earning an IB Diploma. 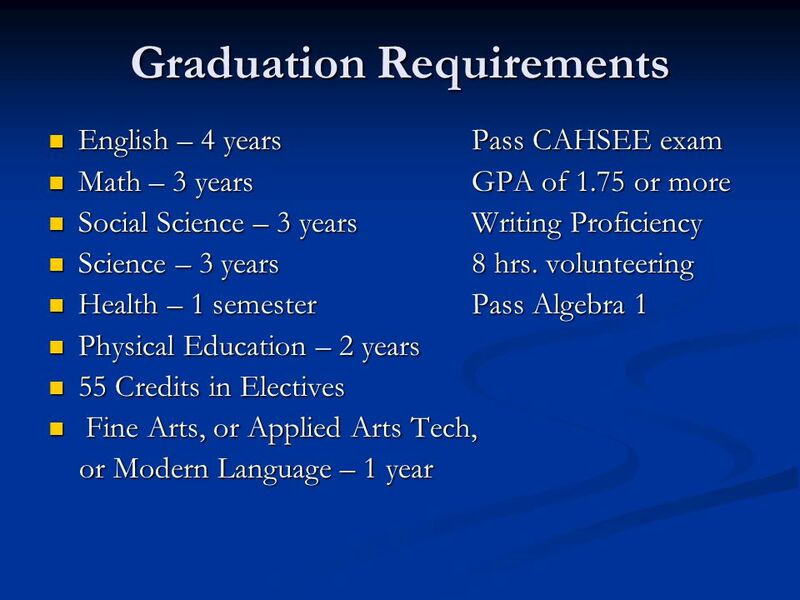 toward earning an IB Diploma. 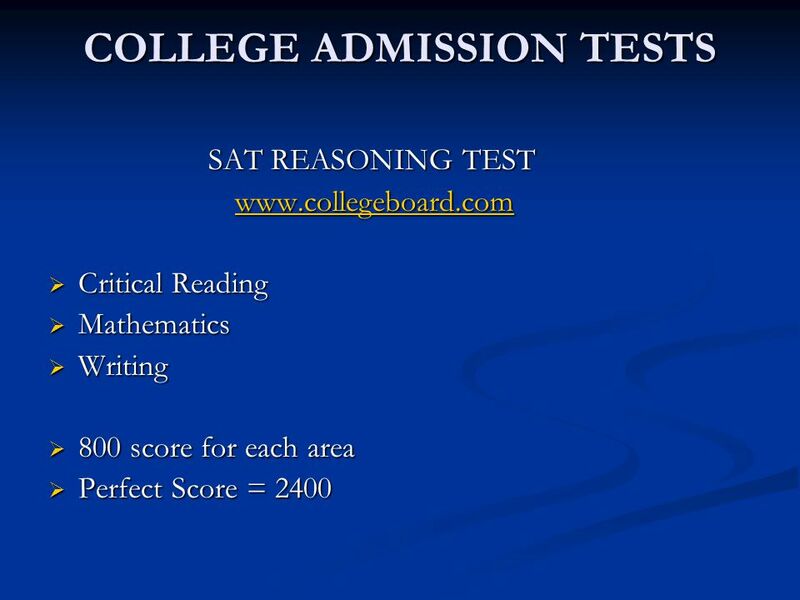 24 COLLEGE ADMISSION TESTING  Students can take a PSAT exam in October of both the Sophomore and junior years. 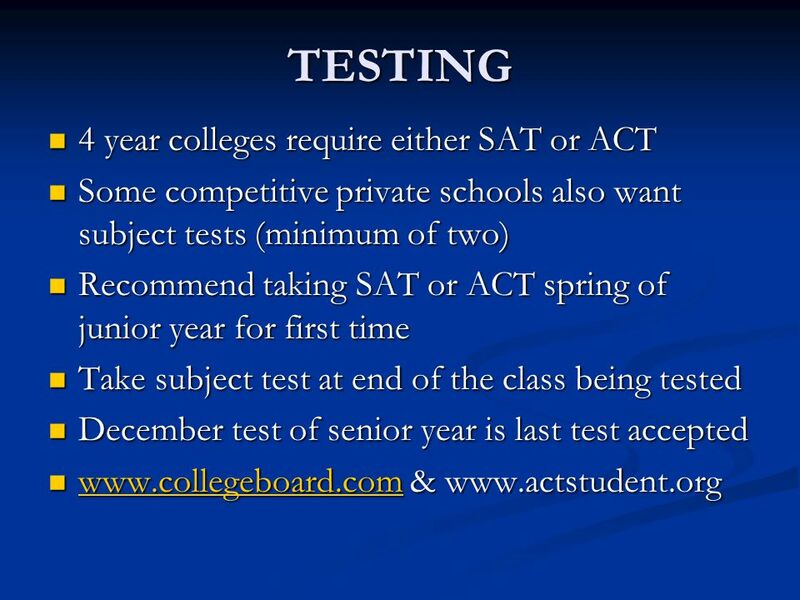  Students can take the Mock SAT or ACT in February each year. 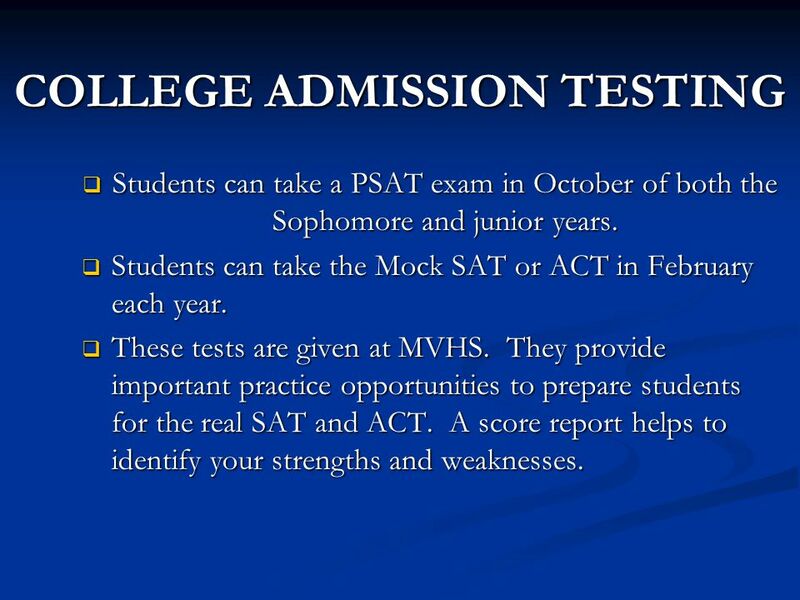  These tests are given at MVHS. 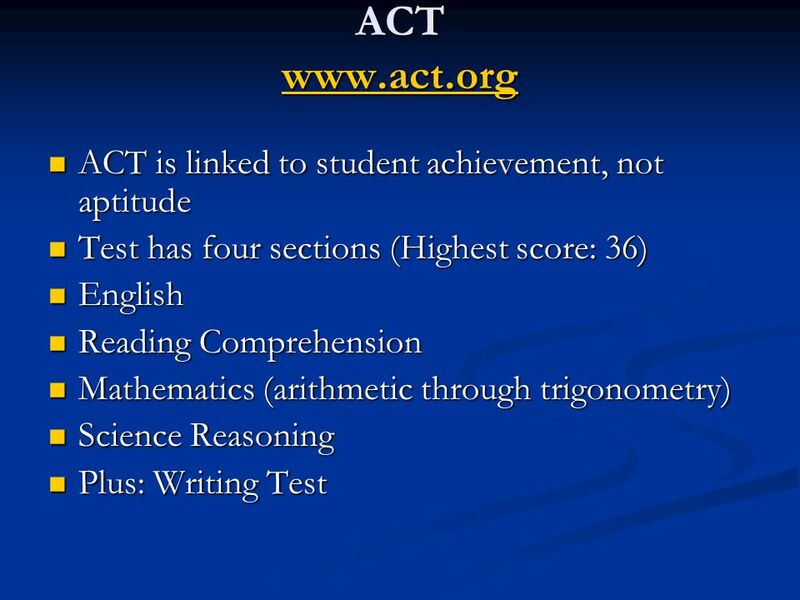 They provide important practice opportunities to prepare students for the real SAT and ACT. 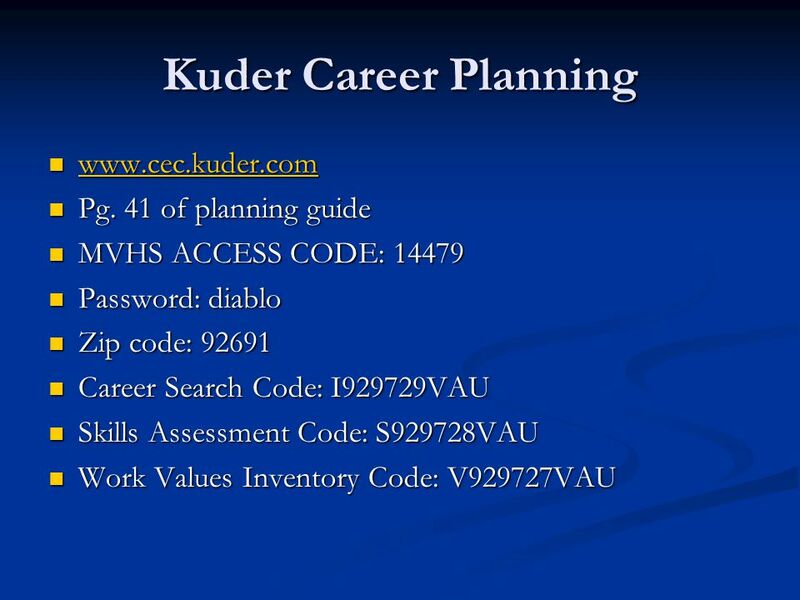 A score report helps to identify your strengths and weaknesses. 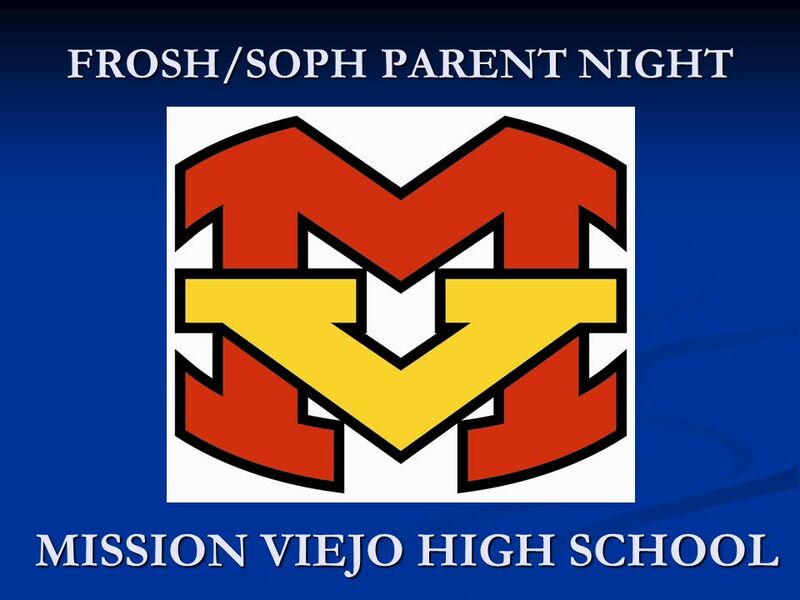 Download ppt "FROSH/SOPH PARENT NIGHT MISSION VIEJO HIGH SCHOOL." Torrey Pines High School Registration. 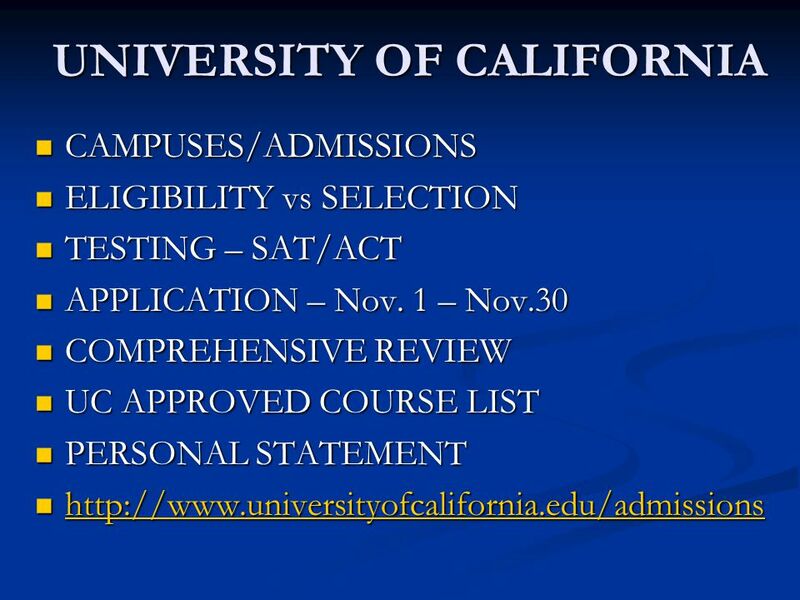 Instructions Read Everything –Profiles & Curriculum Information –Elective Course Descriptions –Registration. College and Career Night Presented by the North Central High School Guidance Department Welcome Class of 2017. Washougal High School “Striving for Excellence” Class of 2011. 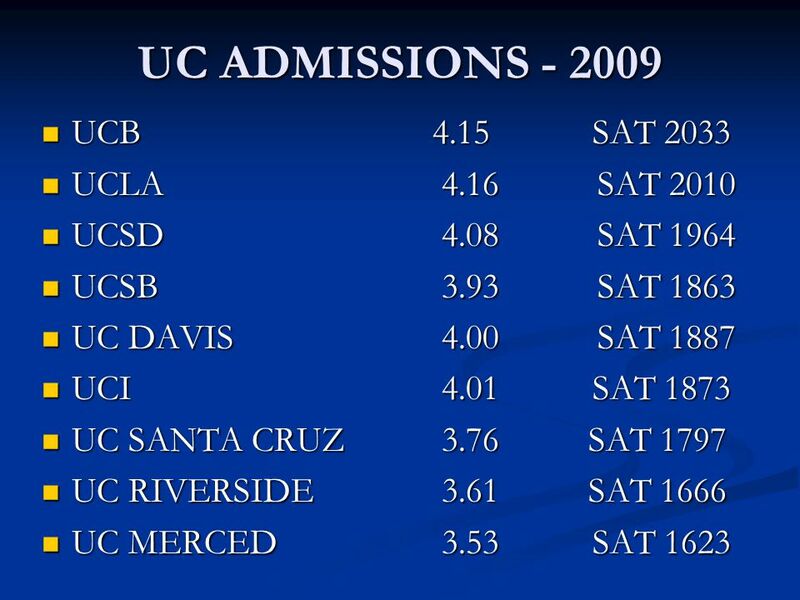 UC Night 2010 Amador Valley High School Counseling Department. Counseling Office Counseling Office. 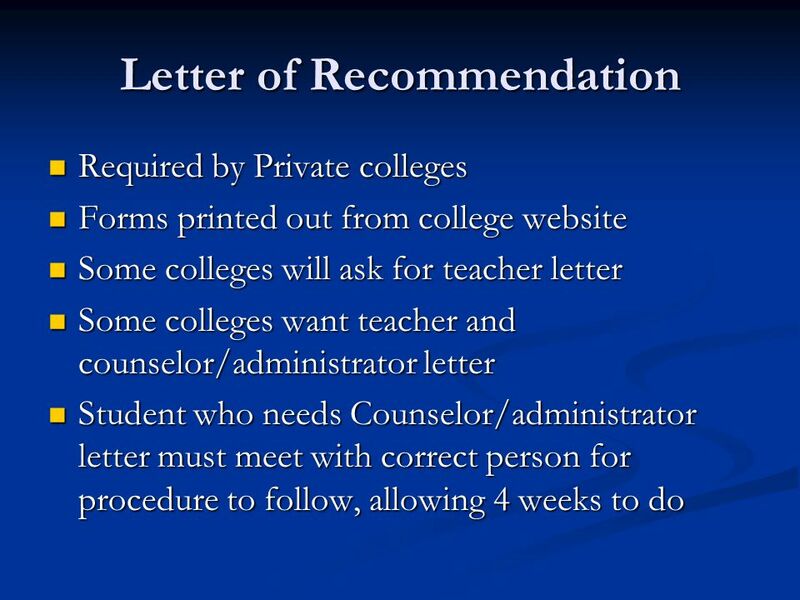 Counseling Services Office Visits Daily Bulletin Newsletter (Counselors Corner) Course Catalog (Yearly) Post High. 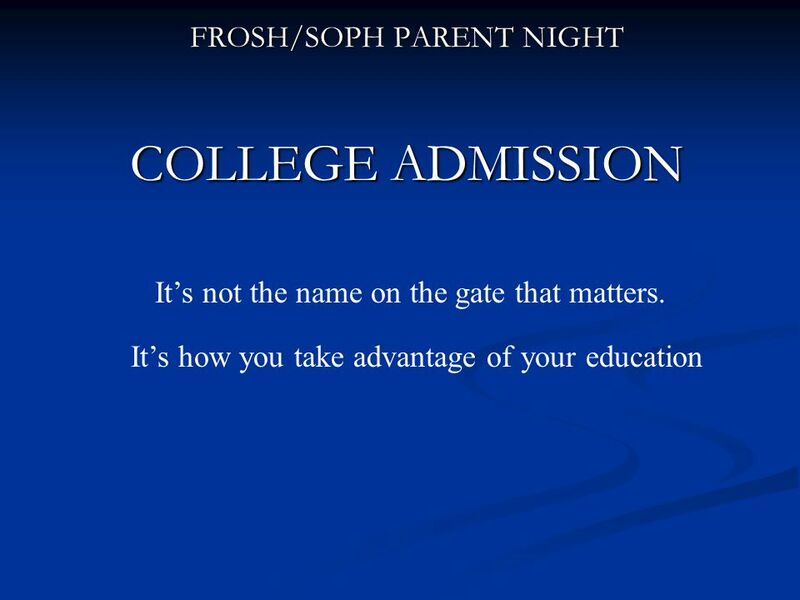 MISSION VIEJO HIGH SCHOOL PSAT PARENT NIGHT For Freshmen, Sophomores and Juniors It’s not the name on the gates that matters It’s how you take advantage. Presented by: David Harris Counselor Oak Valley Middle School Jocbethem Tahapary Counselor Mesa Verde Middle School Oak Valley Middle School Kelly Young. Welcome Class of 2016 Sophomore Conference. 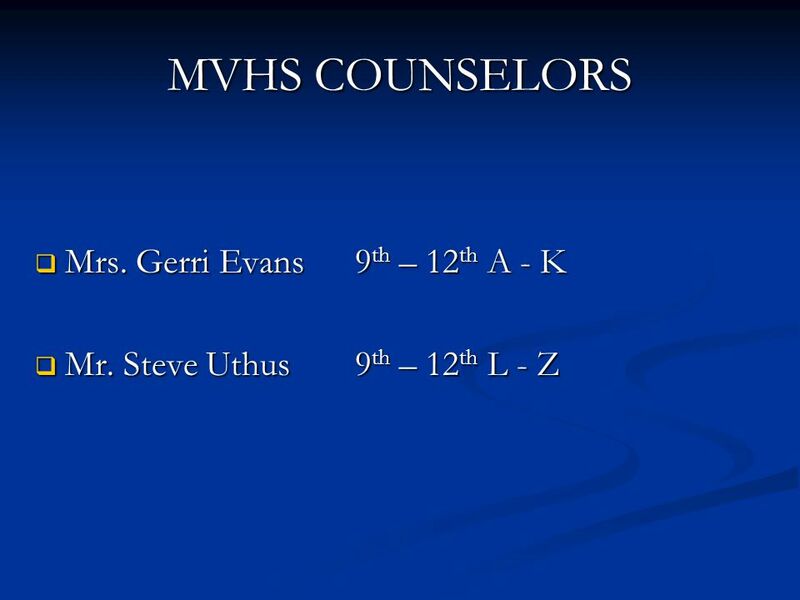 Mrs. Minekime Guidance Counselor Le - Z. 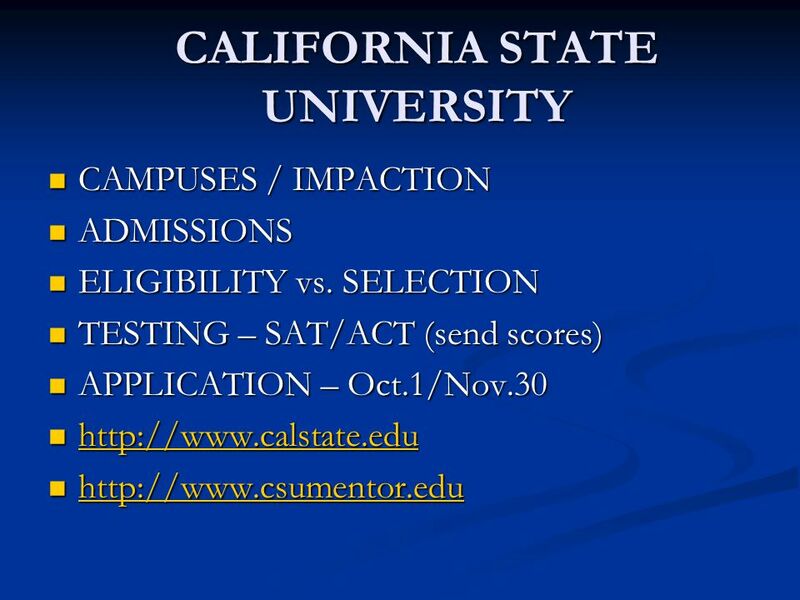 Class of 2016 Junior Parent/Student Info Night Hilary Recknor & Sara Williams Servite Counseling November 12, 2014 SERVITE HIGH SCHOOL. 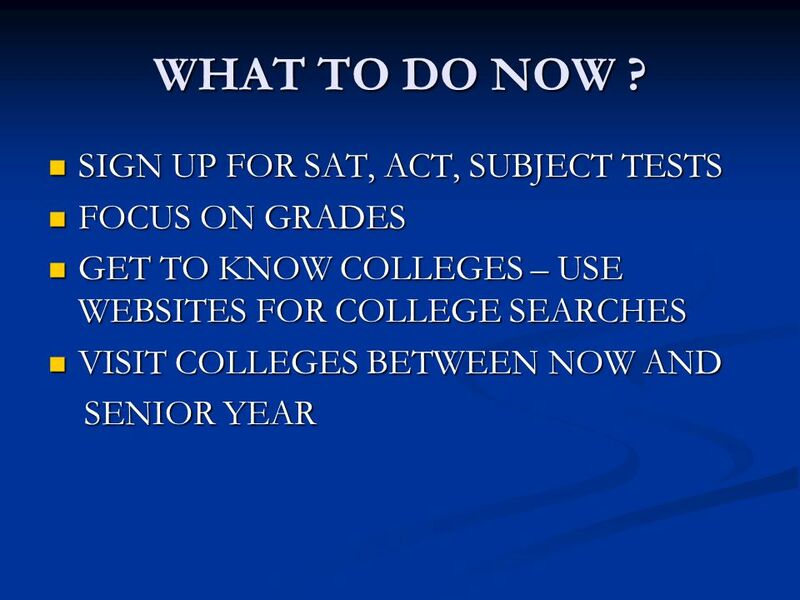 Welcome Sophomore Parents Class of 2016. Agenda Sophomore Calendar LACHSA Graduation Requirements Testing Grades and Credits Attendance Policy Transcripts.